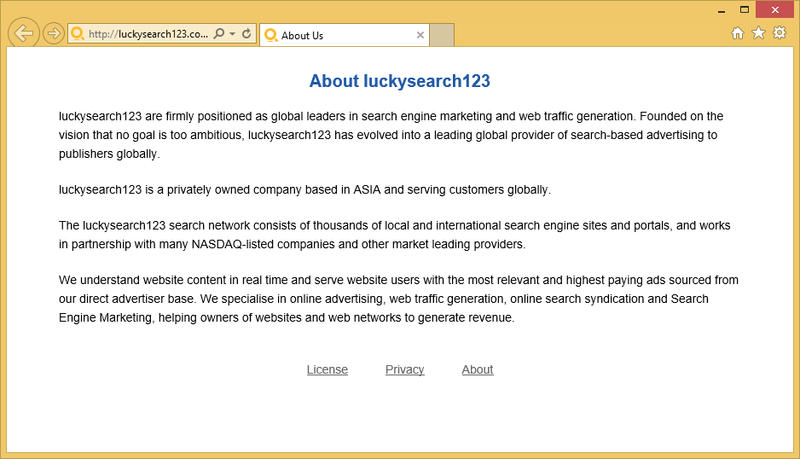 Lucky Search 123 pop-ups are generated by an adware application on your computer. You might be confused at first as to why you are seeing so many annoying pop-ups but they’re all generated by a single adware application. It enters and works silently so your confusion is understandable. The reason you did not notice Lucky Search 123 entering your computer was because it installed along with free software. Even though some users might think otherwise, Lucky Search 123 is not a malicious computer virus. It will not harm your computer directly but it will annoy you with non-stop pop-ups. They will appear no matter which browser you use so you can’t run away from them. The only way to get rid of them is to delete Lucky Search 123 adware from your computer. Why do I need to remove Lucky Search 123? The reason Lucky Search 123 is on your computer is because you installed free software recently and did not pay attention to the installation process. You probably used Default settings. That is a big mistake because freeware usually has items added to it and those setting do not show them. Basically, when you choose Default settings, you give added items the permission to install. If you want to control what gets installed, use Advanced settings, they will allow you to deselect all items you do not want. Adware wants to generate traffic for certain websites, that is why it leads you to weird websites. It will attach itself to browsers, such as Internet Explorer, Google Chrome, Mozilla Firefox and Microsoft Edge, and insert ads. It can even insert suspicious ads onto your most trusted websites. Basically, it will do everything it can to make you click on an ad. You could get pop-ups suggesting you update or download some sort of software. Do not trust those pop-ups. You need to download updates and software only from legitimate websites and not dubious pop-ups. You could end up infecting your computer with serious malware if you do not follow our advise. As long as Lucky Search 123 adware is on your computer, you need to avoid clicking on ads and must close pop-ups as soon as they appear. By allowing Lucky Search 123 to remain on your computer, you are risking getting your computer infected with some serious viruses. You must delete Lucky Search 123 as soon as possible. The easiest way to uninstall Lucky Search 123 would be to use anti-malware software. Manual Lucky Search 123 removal is possible but some users struggle to find what exactly they need to get rid of. Anti-malware software will have no problems finding the adware. If you do opt to remove Lucky Search 123 by hand, you will need to locate and uninstall Lucky Search 123 yourself. 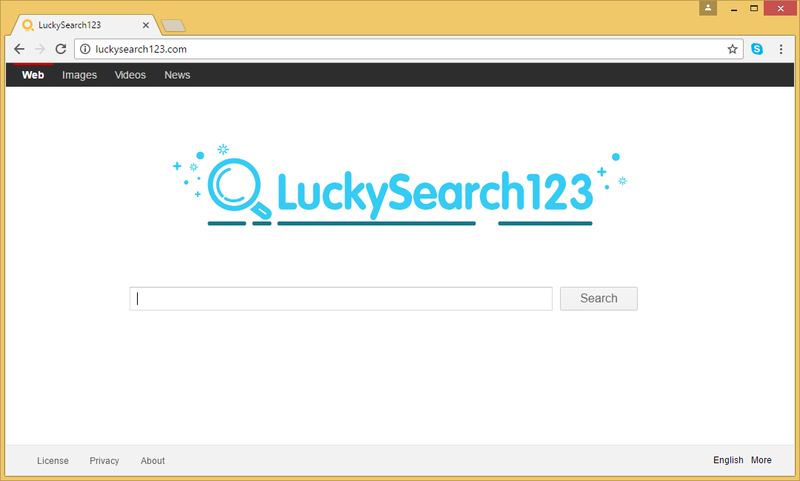 Follow our provided guide to fully erase Lucky Search 123.